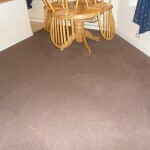 Carpet Cleaning specialists can remove all stains and foul odours in your carpets and rugs. There are a lot of animal lovers in this society, the majority of which can be split into two groups: Those who love cats, and those who love dogs. While either animal will provide a household with infinite loyalty and unconditional love, there are certain situations where having a pet is not so great, in particular when you have to don your marigolds and commence with the carpet cleaning because your furry friend had an accident in the corner of the room. Follow these carpet cleaning tips and you will have the nasty stain out in no time, and with these simple remedies, you will also get rid of the smell that usually lingers after a while. Remember that the sooner you act, the better the results! First get some paper towels and blot as much of the excess urine as possible from the carpet. Create a carpet cleaner solution consisting of white vinegar and water mixed in an empty spray bottle. Apply the solution to the stain and blot with fresh paper towels until dry. Sprinkle baking soda over the area and let it sit overnight. Vacuum clean the baking soda the next day. Both vinegar and baking soda are great to have around the house, because they can be used for a wide range of cleaning tasks, especially in the bathroom and kitchen. While tackling a small area of your carpet is pretty straightforward given the correct method, a complete carpet cleaning from corner to corner is a whole new challenge. Vacuum cleaning on a weekly basis is good practice, but every six months or so, you ought to consider hiring a cleaning company that supplies highly skilled and experienced carpet cleaners. A deep carpet cleaning using industry standard hot water extraction equipment and non-toxic products will reduce dirt and bacteria levels to an absolute minimum, therefore creating a healthier environment for your family and pets.